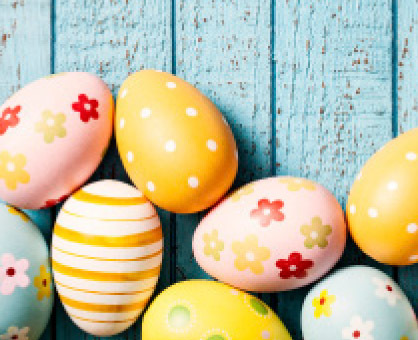 Easter traditions vary throughout the world. Take a trip with us and explore how several different countries observe the holiday. In the land down under, Australian children receive their Easter eggs not from a bunny but from a rodent with rabbit-like ears, called a bilby. Australians enjoy eating pancakes, which are consumed in abundance before the Lenten season begins. Chocolate reigns supreme in Brazil, especially in Sao Paulo where the best of the best chocolatiers delight children of all ages with their confections. Easter in England always includes hot cross buns. These small treats are typically filled with raisins or currants. Before being baked, the buns are cut into a cross and then topped with icing while still warm. Fasika, the term used for Easter in Ethiopia, is observed by wearing white clothing called Yabesha Libs. After the fast is broken, sourdough bread is served to friends and family. There is enough bread to be shared with anyone who visits the home. Many French Easter traditions are similar to American, however, one difference stands out: ringing of church bells. Due to the intricate architecture of Christian churches, the ringing of the church bells on Easter Sunday is one event that can be heard far and wide. Christos Anesti! Considered the most important holiday in Greece, Easter is celebrated the entire week before Easter Sunday. The main dish is a whole roasted lamb, which is grilled over an open spit for a majority of the day, and is accompanied by free-flowing drinks such as ouzo. Easter Sunday in Mexico is spent at mass and then followed by a quiet celebration with family. Festivities like fireworks, parades, music and dancing take place during the previous week. Decorating Easter eggs is a big part of Russian tradition. The eggs famously designed by Fabergé during the late 19th and early 20th centuries remain highly collectible. Russians frequently celebrate with paskha, which is a dish made out of cheese and other ingredients shaped into a pyramid and then decorated.